Super Monkey Ball hacking! Seriously! Forum Index - Non-SMW Hacking - Misc. ROM Hacking - Super Monkey Ball hacking! Seriously! Also if you didn't notice, I moved the start position as well. Spring break is over, but I got a lot done. The test level helped a lot, as it is basically a square. School is tomorrow, hopefully I will have time to finish decoding the collision. Well... I don't yet. But I DO have some textures that I'd like to hack in so someone could then LP it. Not entirely, I don't think... Dolphin has a built-in texture replacement feature, but it only seemed to work with the now-removed Fast Mipmaps setting. Do you know what version of Dolphin it was? I bet you can find it again. Make sure to disable Dual-Core. That prevents the game from crashing. OMG! I am now a Waddle Dee! I know; I leave Dual Core on. I used a version of Dolphin that was before V3 and it had Fast Mipmaps available, but anything more recent (and x64) removes it for whatever reason. And level-up for me as well. I'l love to do this, but I'd have to hack it on the GBA version of the game unfortunately, because my PC is too stupid to emulate GameCube/Wii. Sad, but true. 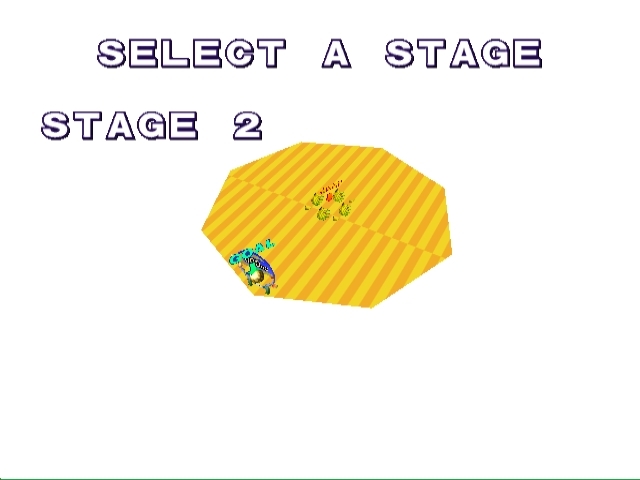 I may try to do the GBA version, after all, it has less polygons per stage. I'm assuming the test level is the grey square and the units are the light/dark tiles? Actually 1 unit is the diameter of the ball, and equal to 2 checker squares. They are also referenced in AD25 if you look close enough. 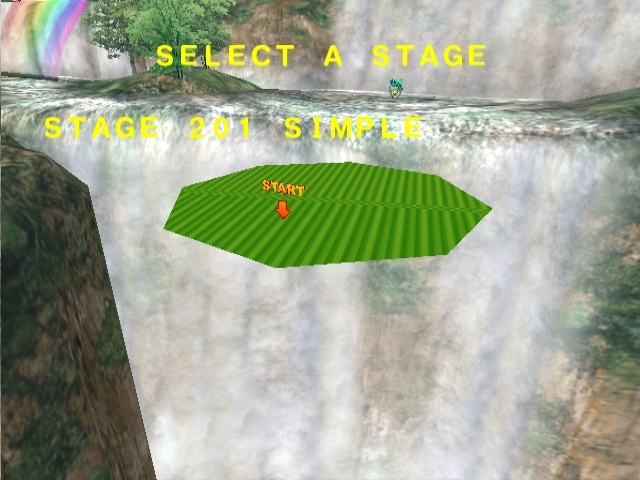 Located after the blue goal is a zigzag, and past it, several paths leading to the green goal. In the air (or water, rather) above each path is a red block number indicating the width of the path. How did I forget about Labyrinth? (Using the SMBDX names) In any case, I'd assume that the 10/0/10/10 is probably the collision itself, and everything else is offsets, FG scenery, and stuff like that. I'll see if I can find a free-roaming AR code for this and futz around in the test level for extra collision, just to see if what I think is irrelevant actually is irrelevant. I was thinking more along the lines of -5/0/-5 being a coordinate, 0/1/0 being a normal, and 10/0/10/10 is some sort of length maybe? Note that Y is vertical, and not Z.
Mod edit: Could you guys please not make obnoxiously big quote pyramids? I know, what really warranted the uncertainty is that I don't know if Sega interleaved the coordinates/lengths. And some software (OWL, among others) considers Z as vertical. To answer your question, I already found the offsets, scenery, etc., which is why I isolated the collision and listed the numbers, hence what you see. OK, but what do the X's mean, or are they like that in the code? The X's are numbers that have no meaning, as I have eliminated them, for all I know, you can put 0 there and it will work fine. I've eliminated them due to the fact that some of the numbers had ridiculously high values when converted to float. Plus there are too many 1 bits for it to be flags, and the offset doesn't exist in the file. Well, one could say that I'm lost. 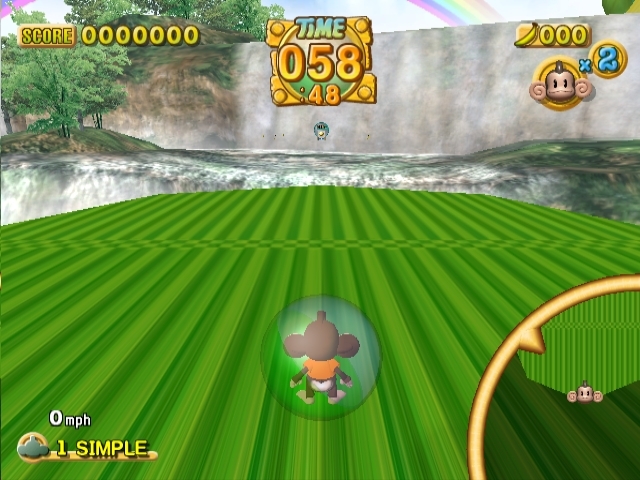 Regardless, seeing all these progressions might mean a tool for hacking Super Monkey Ball in the future! I believe so. But first I have to figure out this collision issue, as there is none, hence the instant fall out. Also I would like to figure out how objects move. So it may be a while before I even figure out the level format. A few posts back, I gave the collision values, if anyone wants to help. Also after the list I gave, there are 256 iterations of 0x00000001FFFF, I'd assume this is the trajectory, as they are all the same, but as for the format, I will have to investigate a level with moving objects.